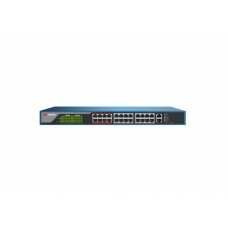 Hikvision DS-3E0105P-E 4-Port 100 Mbps Unmanaged Economical PoE Switch. 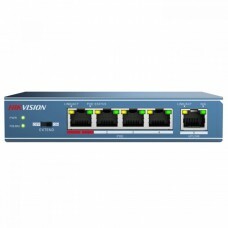 4 x 10/100 Mbps Auto-MDIX Po..
Hikvision DS-3E0109P-E 8-Port 100 Mbps Unmanaged Economical PoE Switch. 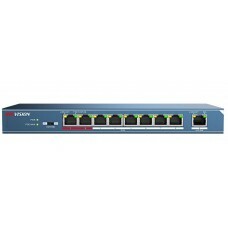 8 x 10/100 Mbps Auto-MDIX Po..
Hikvision DS-3E1318P-E 16-Port 100 Mbps Web-managed PoE Switch. 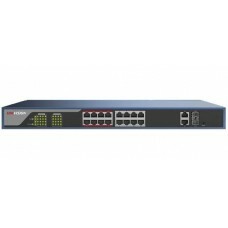 802.3af/at PoE standard; 8-core powe..
Hikvision DS-3E1326P-E 24-Port 100 Mbps Web-managed PoE Switch. 802.3af/at PoE standard; 8-core powe..